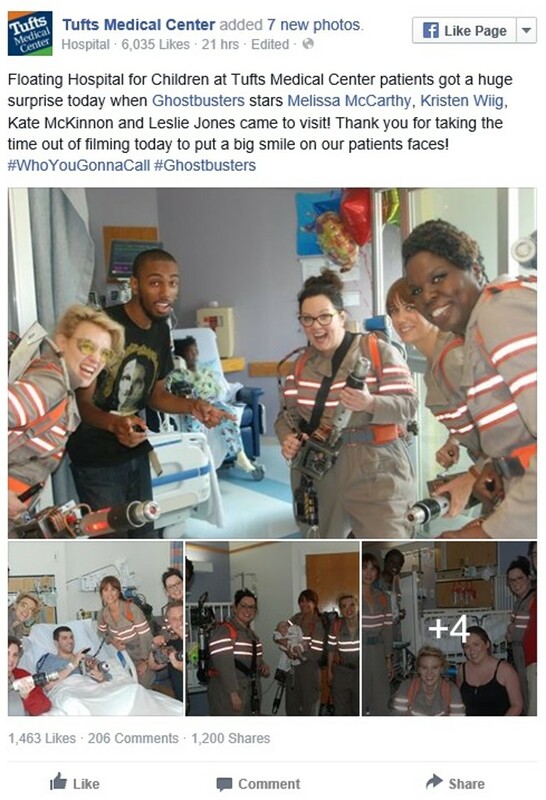 The New Ghostbusters Do A Really Good Deed - See Within! The upcoming GHOSTBUSTERS film has really been building up the wonder for fans as of late. The Paul Feig directed project has had it's fair share of rumors and what if's for a very long time as what we might be seeing on screen. It was revealed not long ago that Dan Aykroyd will be making a cameo appearance in the movie. All of that aside, the ladies who will be busting ghosts recently took some time to do something very special. 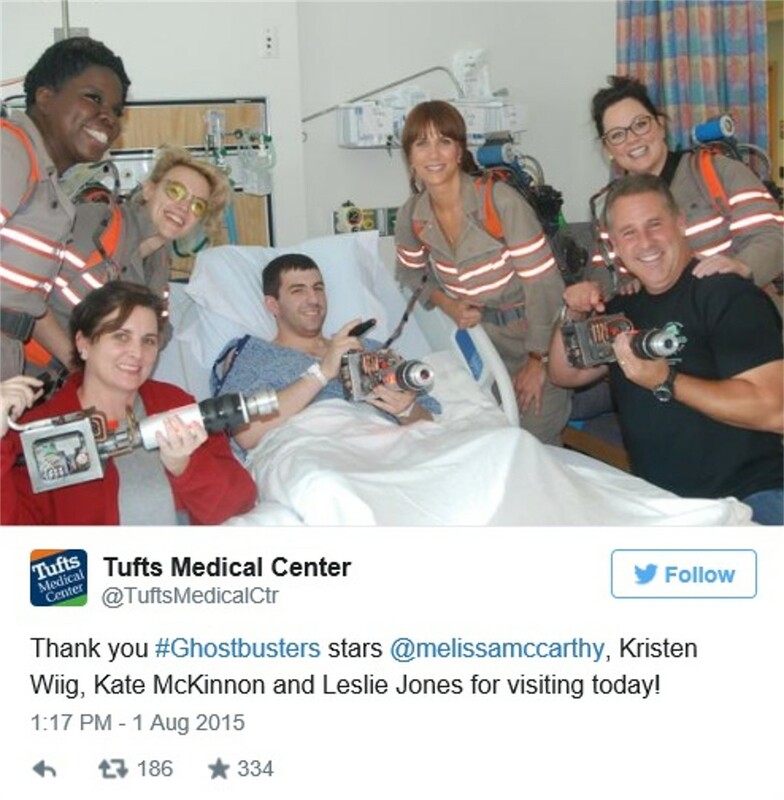 Tufts Medical Center in Boston received a visit from all four of the new Ghostbusters in full uniform on Saturday. The team brought lots of smiles to many patients' faces as they spread some joy throughout Floating Hospital for Children. GHOSTBUSTERS will star Melissa McCarthy, Kristen Wiig, Kate McKinnon, Leslie Jones, Chris Hemsworth, Neil Casey, Andy Garcia, Michael Kenneth Williams and Matt Walsh. As stated before, Dan Aykroyd will have a cameo role. Paul Feig directs from a screenplay which he co-wrote with Katie Dippold. 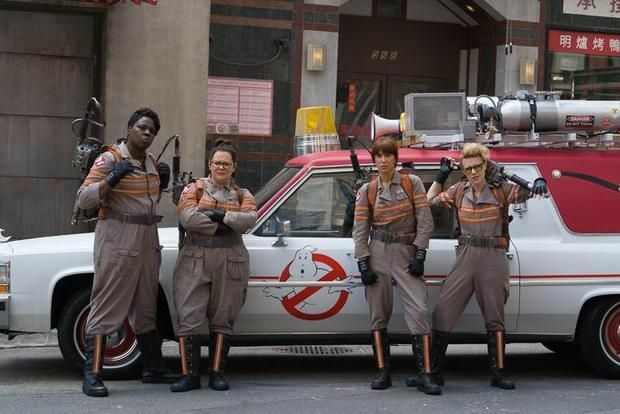 The new GHOSTBUSTERS film currently has a release date of July 22, 2016.